Stop letting the fear of success limit your life - take control and achieve the success you deserve! Does real success seem always just out of your grasp? Do you feel strangely guilty if you are more successful than co workers, family and friends? Do you worry that your success won't last very long and you use that justify not trying at all? Do you wish there was some way to stop being afraid to succeed so you can enjoy your life and career? Fear of success may sound strange, but if you can relate to any of the questions above you may be suffering from this. Sometimes it might seem that however hard you try you don't get the success you want. This is because there are limiting beliefs and negative thoughts deep within your subconscious mind which hold you back - fear of success is a dangerous form of self sabotage. 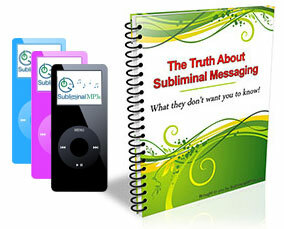 This subliminal album will give you the tools you need to change the way you feel and think about success. You may have friends and business acquaintances who seem to be able to plan for success and then pursue whatever it is they want easily. You want to enjoy success just as much as your friends, but you look for reasons why something just won't work out or you purposely or subconscious avoid taking the action necessary to achieve your success. If you could reprogram your mind to stop focusing on doing stuff that ultimately ends up holding you back, would you be willing to change? Remove the thoughts of fear associated with success. You will think differently and begin to feel excited about moving up in the world. Stop sitting around looking for ways to sabotage yourself and instead you will go all out for success! You will be proactive and take action and nothing will hold you back - especially not any limiting subconscious thoughts! Stop making excuses for why you can't do something, and instead look for ways you can do it. You will think differently about success. Your mindset will change, you will feel like you deserve it, need it and you will more focused than ever on the fact that you really can be successful if you put your mind to it. You will gain a boost to your motivation. Your desires and ambition will skyrocket. You will become more motivated than you thought possible and you will set your sights higher than ever before. Imagine how much more fun and fulfilling your life and career could be because you no longer have a fear of success. The thoughts about success will become as natural as breathing. You will embrace success and you will no longer afraid to let the world know just how successful you are! You will have a sense of security you've never felt before and start to make long term plans for your life and career knowing you can always create success anytime you desire. Download this subliminal mp3 and leave your fear of success behind forever!